Tickets will be on sale from 10am on 13 April (Saturday) at the Macau Ticketing Network outlets. Tickets may also be purchased through the internet or by telephone. - Children Package (including one child ticket and one adult ticket): Different sessions are designed for children aged from 6 to 24 months and for children aged from 2 to 4 years old who must be accompanied by an adult. - Observer tickets: Suitable for audience members aged 5 and above, who will be seated in a designated area. ●　Participants should bring their own smartphones, power banks and earphones. ●　Tour starts on time. ●　Please provide contact information upon ticket purchase. Details will be informed in due course by　SMS, and will be posted on the Festival’s website and Facebook Page. Observer Ticket: For audience aged 5 and above, to watch the performance in the designated area. ●　Please provide contact information of　participants upon ticket purchase. Details will be informed in due course by SMS. 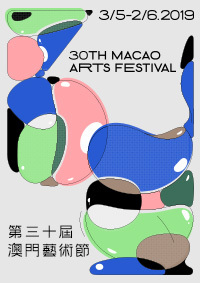 Enjoy 30% discount on tickets for the opening show Vertikal and for the closing show The Soul of Macao by presenting a BOC Credit Card# or BOC Card. # Offer is only applicable to holders of BOC Multi-Currency Credit Card or BOC Card (debit card), issued by Bank of China Limited Macau Branch, but not applicable to holders of BOC or Tai Fung Bank Credit Card issued by BOC Credit Card (International) Limited in the Macao region. 2. For holders of MasterCard, VISA Card or UnionPay Card from BCM Bank, OCBC Wing Hang, Tai Fung Bank or Luso International Banking Ltd. 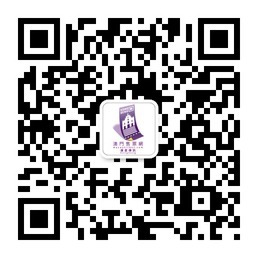 Enjoy 50% discount by presenting a Macao Senior Citizen Card or a Disability Assessment Registration Card. ^ Each cardholder can only use one discounted ticket per performance. Cardholders are required to present the respective document for admission, otherwise the full ticket fare will be charged. Customers who purchase over MOP500 (net price after discount) are entitled to receive one discount voucher to enjoy exclusive offers at MGM Theater. Come and immerse in a multi-sensory entertainment experience like no other! Buy more, get more! Vouchers are subject to availability. r The above offer is only applicable for tickets purchased through the Macau Ticketing Network. Seating for all free admission venues and for the performances in the Old Court Building, Ox Warehouse, Macao Conservatory Auditorium and Navy Yard No. 2 is not assigned and is available on a first-come, first-served basis.